Round of 16: who’ll progress to the quarter-finals? 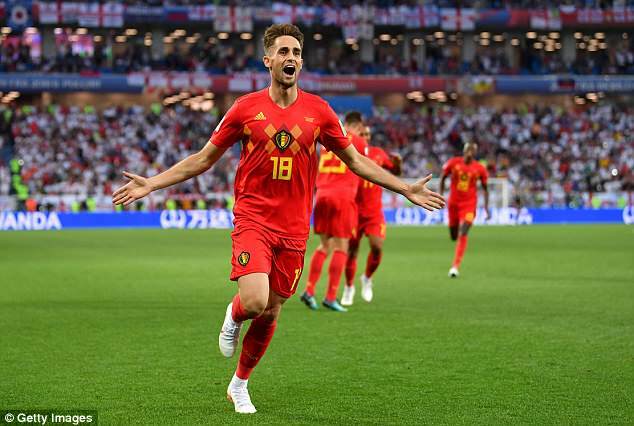 The line-up for the World Cup round of 16 was completed on Thursday as Belgiumbooked a date against Japan, with England scheduled to play Colombia. The round kicks off on Saturday with a heavyweight clash between 1998 winnersFrance and two-time champions Argentina, before Uruguay face Portugal that night. With just one day’s break on Friday before we head into four days of frantic knockout action, Sportsmail brings you all you need to know about the eight matches. Haven’t really got going despite winning their group. Defence looks solid though even if the attack hasn’t fired yet and the likes of Antoine Griezmann, Paul Pogba and Kylian Mbappe will surely click eventually. Poor. 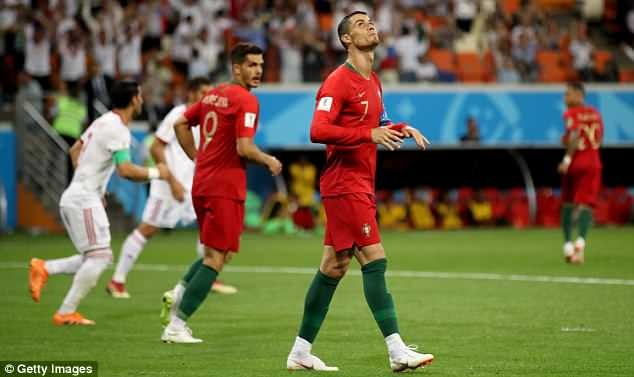 Scraped through by the skin of their teeth thanks to a late Marcos Rojo winner against Nigeria after dire performances in defeat against Croatia and while drawing against Iceland. With Lionel Messi though, anything is possible. 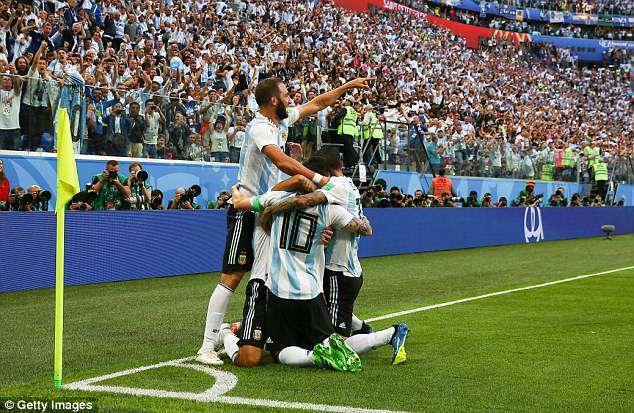 Croatia made mincemeat of Argentina’s midfield and Mascherano, who gave away a penalty against Nigeria, is a fading force. The introduction of Ever Banega against Nigeria helped him but if Pogba turns up France could dominate the game. Verdict: France to edge it. Eased through the gears in the group stage, culminating in an emphatic win over Russia which will have their rivals worried. Lacked creativity against Egypt and Saudi Arabia but their mean defence is yet to concede a goal. Cristiano Ronaldo’s hat-trick against Spain aside, they’ve been average. But as long as he’s in the side then they’ll argue that’s fine. Worryingly though their defensive solidity from the Euro 2016 triumph seems to have abandoned them. Arguably the best centre back in the world against arguably the best centre forward in the world. The two know each other well having done battle in Madrid for Atletico and Real respectively over the last eight years. Verdict: Low-scoring game that could go to extra-time. Portugal to nick it. Patchy. Like their Iberian rivals, surprisingly struggled against Iran and particularly Morocco. 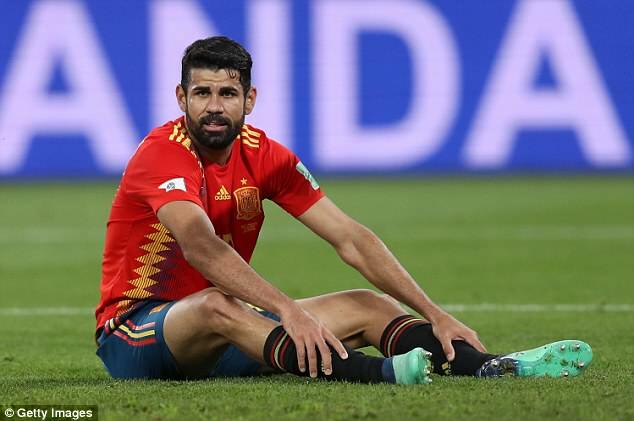 David De Gea has made uncharacteristic errors but Diego Costa has provided the focal point their fluid midfield needs. Isco has been exceptional. Saudi Arabia and Egypt were caught like rabbits in the headlights of this super-fit Russian machine but they reverted to type in their first real test against Uruguay. Solid enough but lack the individual brilliance to trouble the best sides. Barring a bizarre assist for Luis Suarez’s goal, 38-year-old centre back Ignashevich has looked solid but Costa will provide him with his biggest physical test yet. The Spain striker will be relishing playing against an injury-depleted, ageing defence. Verdict: Spain to win but they could make hard work of it. The form side of the tournament. Brushed aside Argentina and Nigeria with ease and showed their depth as their second string beat Iceland. Emerging as contenders with a magnificent midfield of Luka Modric, Ivan Rakitic and Marcelo Brozovic. Can count themselves slightly fortunate to be in the knockout stages having been outplayed in all three matches. Defence has been solid though and they will argue the gameplan has worked a treat so far. 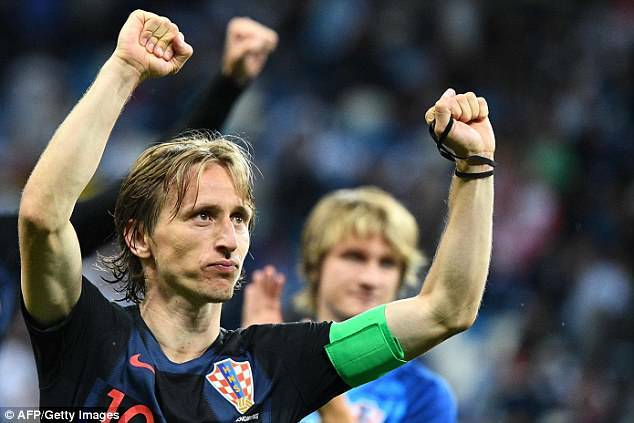 Modric has cemented his status as the best midfielder on the planet with a fine World Cup so far and Eriksen will need to upstage him if Denmark are to progress. Verdict: Croatia to win comfortably. Haven’t set the tournament alight yet but are rightly still favourites to lift the World Cup on July 15. 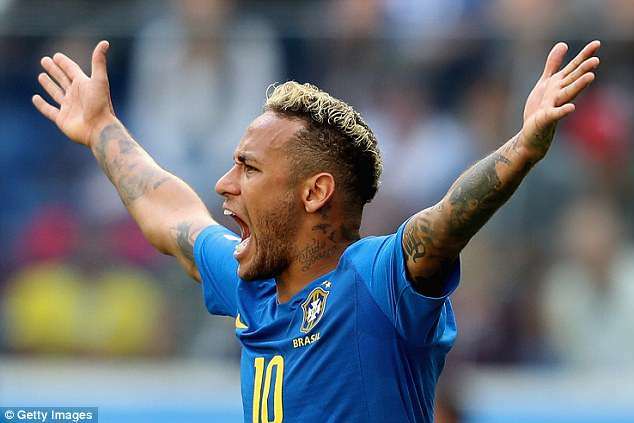 Neymar has acted like a spoilt brat at times but the world’s most expensive player seems to relish that role and you feel more is to come from him. 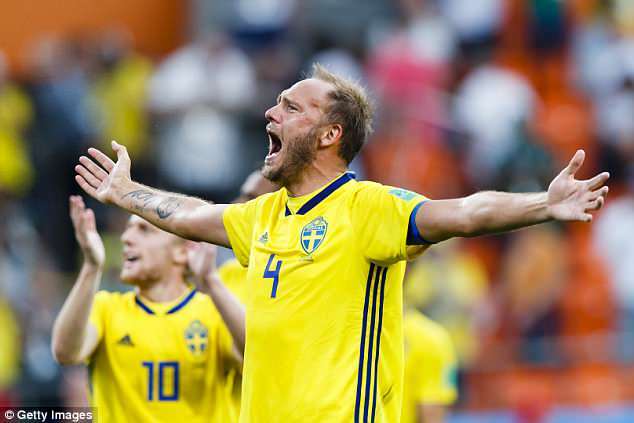 Started the group stage brilliantly with that shock win over Germany but ended it badly with a 3-0 thrashing by Sweden. Have South Korea to thank for reaching the last 16 and will need to rediscover their Germany form to stand any chance. Brazil will almost certainly score – and probably score a couple – but they will cough up chances. If Hernandez can take them then Mexico could shock the world again. Verdict: Brazil to win by at least two goals. Coming through their group with three wins from three will have made the rest of the tournament sit up. They breezed past both Panama and Tunisia, scoring eight goals, and their entire squad will be full of confidence after victory over England. Qualified for the knockout stages in farcical circumstances as they allowed Poland to win knowing they would edge out Senegal on fair play. Shocked Colombia but played against 10 men for 85 minutes and are probably the weakest side left. For Japan to have any chance of coming through this match they’ll need to shackle one of the most feared strikers in Russia. Yoshida has gone toe-to-toe with the Manchester United striker in the Premier League but will need to be at his very best here. Verdict: Belgium through, and with some room to spare. Impressive effort to top the group. Would probably be 100 per cent too if Jerome Boateng had been sent off earlier in their last-gasp defeat by Germany. Very well organised and showed character to bounce back so well against Mexico. Unperformed in their two easiest games – they were lucky to beat Serbia and could only draw with Costa Rica – but showed they can mix it with the best by drawing against Brazil. Four goals conceded in three games will be a concern. Both sides lack firepower and will be looking for goals from midfield, with Leipzig wide man Forsberg Sweden’s main threat. Arsenal new boy Lichtsteiner will look to nullify that threat and make his trademark marauding runs down the right. Verdict: Toughest game to call. Swiss to win it on penalties. Look to be nearing their peak just in time for the knockout stages after a shaky start. Were stunned by Japan in their opened but comfortably saw off Poland and beat an impressive Senegal side. Strength all over the pitch. 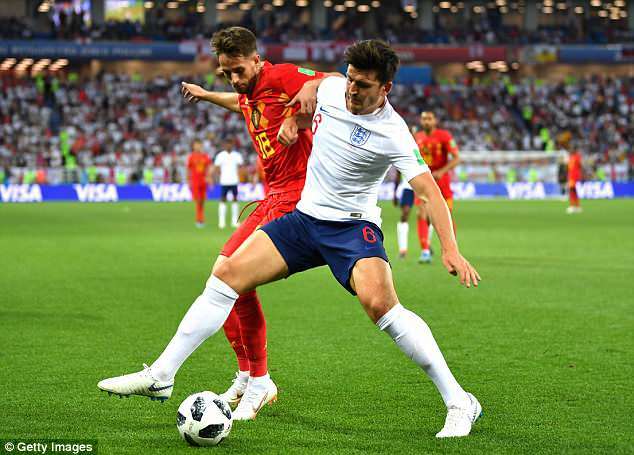 All the early enthusiasm may well have been tempered slightly by defeat by Belgium in Kaliningrad, but with the majority of Gareth Southgate’s first team well rested and fresh from two wins, confidence should still be high. England’s first-choice back three will come up against an attacking threat unlike that of Tunisia and Panama. Kyle Walker has question marks over his head as part of a back three following his mistake in the opener and the South Americans — and their main threat Falcao — will be looking to put him to the test. Verdict: A very close game, but England can find a way into the quarters.